When Aydian Dowling first began questioning his gender identity and realizing he might be a trans man instead of a lesbian, there were few resources available to guide him through his journey. YouTube was still relatively new, there was no such thing as Instagram, and the word “transgender” was barely in the cultural lexicon. Luckily, an acquaintance introduced him to a trans man and he found a small group of transgender YouTubers, all of whom helped give him clarity about his identity. 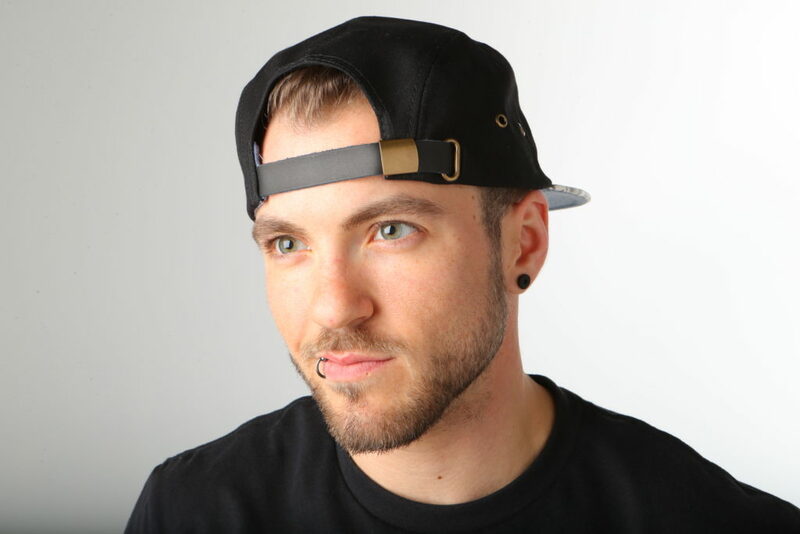 Dowling then started his own YouTube channel to feel less alone and to document his transition, which inadvertently blossomed into him building a community and helping other transitioning people obtain much-needed information about the process. Dowling’s YouTube channel and social media accounts began to grow in popularity. 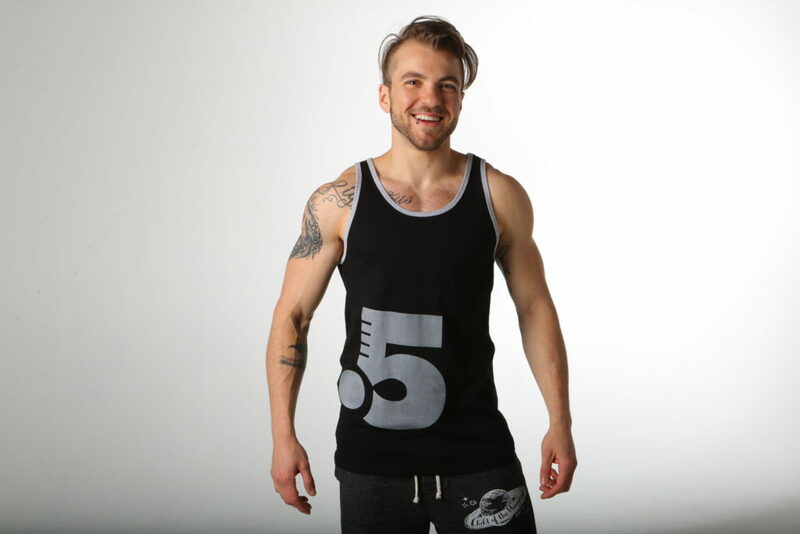 When Dowling, a fitness enthusiast, was encouraged to enter a cover competition for Men’s Health, the LGBTQ+ community caught wind of it and voted him into the top five. While he had to share the cover with the other top four competitors, Dowling became the first trans man to be featured on the cover of Men’s Health. This also got him on The Ellen Degeneres show — twice. This catapulted Dowling into stardom within the LGBTQ+ community, and he has used this recognition to launch several ventures that give back to the community that has helped him. Dowling started his clothing company, Point5cc, at first to help fund his top surgery, but once that was paid for, he began a surgery fund to help other transgender people access medical procedures. He then co-founded Point of Pride, a nonprofit, so that he could put even more effort into financially supporting the trans community’s needs. 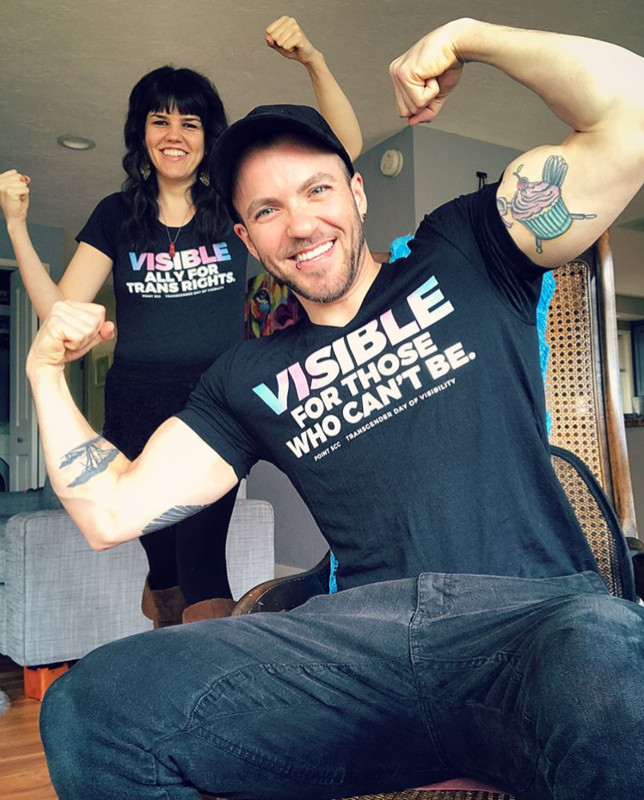 Dowling, now 30 and living in Eugene, Oregon, with his wife, works for himself running those endeavors, speaking, and doing online fitness coaching. They are excited to be expecting their first child later this year. This is Dowling’s story of coming to terms with his identity, creating resources to give back to the community that has been there for him, redefining masculinity, and starting a family. Profiles in Pride: When did you come to terms with your identity as a trans man? 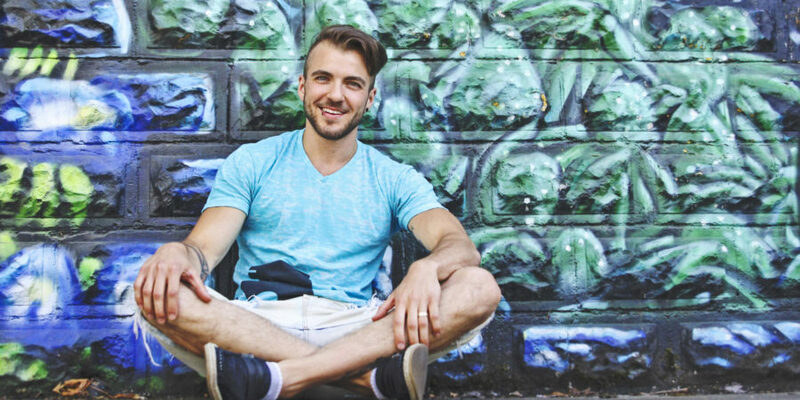 Aydian Dowling: I’ve come out twice in my life. When I was 16, I came out as a lesbian to my mom, even though I knew probably since the age of 13. That was an interesting experience, being the only out lesbian in my entire high school. When I came out at 16, I was already dressing more traditionally masculine. As each year went by until I hit about 20 or 21 years old, I just got more and more masculine. I went from stealing a few items from my brothers to then shopping in the men’s section to then wearing boxers instead of women’s underwear, and no longer wearing bras and only wearing sports bras, and stuff like that. In February of 2009, when I was 21, I came out as transgender. I feel like my whole life, it was always about my gender, but being that there wasn’t that type of language out there, I was like, “I must be a lesbian, because I’m a female-bodied person who likes other female-bodied people, and society tells me that means I’m a lesbian.” That worked for a while; I was able to express myself, and I found other female-bodied people who were also dating other female-bodied people, so it made a lot of sense to me. I was born and raised in Long Island, New York, until I was 23 years old. I had gone to Pride — I think my first gay Pride was that year that I came out, when I was 16. I went into the city and I remember seeing all types of expressions, specifically on female-bodied people, so I felt very welcomed in that world. I felt like this is where I belonged, because these people aren’t cookie-cutter like everyone else I see in my town. So I was able to express myself then, but as I got older, though I thought I was a lesbian, something still didn’t really feel right. Even though I was self identifying as a butch dyke, it still didn’t really line up. I was dating someone, an ex of mine, and she had a best friend whose cousin’s friend had just come out as a trans man, and he was starting hormones. I met this gentleman, who’s now my friend; his name is DJ. PIP: You have a popular YouTube channel that has had over 5 million views; was this lack of information out there why you started it? AD: I started making YouTube videos because I felt really lonely, and I saw this very small little niche on YouTube. There were maybe only five to 10 guys from all over the world, and I wanted to feel less alone; I wanted to feel like I had friends, and I wanted to feel like people understood me, because I looked female, but I identified as male. When you tried to have that conversation with people 10 years ago, nobody knew what the hell you were talking about. So I made YouTube videos because I didn’t want to feel so alone, and at the same time, I was also documenting my own transition. Nobody was out there talking about what it was to be trans, and I just wanted to join in the conversation for myself and for other people, because I felt like these videos I watched really helped me come into myself, so if I could provide that for someone else, why wouldn’t I? The YouTube channel was just me being myself, which happened to be a voice into this chapter that a lot of people never even knew was in the book of life. I created it for me, but it helped other people. PIP: Definitely! So your biggest claim to fame is that you were the first trans man to be on the cover of Men’s Health. How did that happen? AD: For the cover of Men’s Health, they had this competition called the Ultimate Guy Competition. It’s an opportunity for the readers to get a cover. It’s an online competition where you submit a few photos, you answer three or four questions within a certain amount of characters, and you can get people to vote. Voting is only around 10% of the entire thing, but at the end of the day, whoever gets in the top five gets pushed to the second round, and then whoever is No. 1 gets pushed to the final round. It’s like the reader’s way of having at least one person they want to see on the cover in that running. I applied when I got a few emails from people online; they were like, “Hey, you work out, you’re into fitness, you should apply for this.” At the time, I was like, “I’m not going to apply, there’s no way they’re going to pick me.” But I also have always felt a really big responsibility to the trans-masculine community, because it has really helped me so much. So I thought, if anything, even if I don’t win, maybe at least I can just show anybody who looks to me for any type of guidance or advice that we deserve to be on this cover, whether or not they want us there. The only way to do that is to enter. I applied while I was on break at work; I just picked some photos from my phone. I posted it online and told folks they could vote every day. After a week, a couple people started realizing what I was doing, and I started getting some votes. I used my YouTube channel to promote it as well. That’s when I think other people started sharing it on Facebook; they were like, “Hey, I’m voting for this guy, you should vote for him too,” and friends of friends started sharing it. It got into the hands of more famous trans people and LGBTQ activisits and supporters of the LGBT world, and they started tweeting it out. That’s when things really started to blow up. We shut down the entire website because so many people were voting from even from outside the country. They had to shut it down, because technically you can only vote if you’re in US or Canada, and they’d never had that issue before. They sent me an email saying they knew it was shut down, but they were still keeping the tallies of the vote and would have it back up. That’s when I think a lot of people really noticed that something is going on here. I ended up getting 72,000 votes, which was just incredible. Then that pushed me to No. 1 out of 22. Then from the final 15, it was no longer about the votes. The magazine pushed me to the final five, and they ended up putting everyone on the cover, all top five of us. Before that, Ellen had heard of it, so I was on The Ellen Degeneres Show. I went on twice. Once for the announcement — she gave me a really long segment. Then after I got on the cover, she had me back on for just a quick minute and a half to show me the magazine and reveal the cover for the first time. It was really awesome! PIP: How cool! I saw your Instagram bio says you’re “redefining masculinity.” What does that mean to you? AD: I think with my transition and the whole Men’s Health thing, it really made me realize that this is a conversation that needs to be had. I’m not the only one who thinks that masculinity isn’t defined by your genitalia. There’s a lot of people, obviously at least enough people out there to vote 72,000 times, who believe the same. So I took on this concept of redefining what it is to be a man. Being a man doesn’t mean that your chromosomes are XY. Oddly enough, with everything that’s going on in our political world, and even the environment of entertainment and the Me Too movement and all these empowering things for women, which is fantastic, all of these things are coming up. It’s a different world to be a man in 2018 than it was to be a man even in 2008 and 1998 and 1988. It’s just a different kind of man. Women are finding their voice and finding their power and starting to speak out with those voices. They are starting to take on positions of power with the power that they know they hold. For men, I think we’ve already been shown that we have a voice and we have power. That’s fine and dandy, but it’s been taken to this negative side, especially in the last 100 to 200 years, especially in America. I think now we’re at a point where feminity is embracing its masculine energy, and I would love for masculinity to start embracing its feminine energy. I think everyone has both masculine and feminine energies inside of them, it’s just which one is more dominant. I think we’ve been living in a dominantly male society for so long, that how can you be a man who feels powerful and feels as though his voice can be heard, but also is respectful to the decades and centuries of oppression of this other community, of women who couldn’t talk? How do we as men feel confident in ourselves, but also realize, you know what? Men have been speaking up for the last however many of hundreds of years. Maybe it’s time that we actually sit down for a moment and hear out what these women and other identities have to say. Particularly with the Me Too movement, I’ve heard guys say, “I don’t even know how to flirt with a girl anymore.” I think it’s ridiculous to even have that thought or notion in your mind. Because what was flirting to you before? Was flirting to you pushing people’s boundaries? Was flirting to you the power in a dynamic when you first meet someone? Was flirting cat-calling? To me, men are still totally capable of flirting now, it’s just maybe now it’s not sexual harassment. Maybe it’s now time for men to say hi to a girl; you ask how her day is and you actually read her energy instead of just automatically assuming she must want to get with you. With redefining masculinity, I feel like there’s always going to be people who identify as male and people who identify as female, and now we’re learning and being able to express more of this in-between, the queerness, the nonbinary people, the agender people. But there’s always going to be the male and female, so how do we make that more open so we can express those things? Redefining masculinity is really just redefining humanity and what it means to be a human in the world today. Because I identify as male, to me, that’s redefining my masculinity. PIP: It does seem like more women are speaking out and embracing vulnerability, but so many men are still afraid to be emotional or vulnerable. I think transgender people have such a beautiful, unique perspective having walked in both shoes. AD: I appreciate that. I feel like growing up as female, and now living as male in the world, I see so many female-bodied people embracing their emotions and all this stuff, but not embracing their power. Feeling like they still need to bring a man to go get their car checked. It’s interesting because I think both sides of the spectrum have growth opportunities. I think that as more female-bodied people become enlightened and feel into their power, I hope that the men in the world can do the same, that we can feel into our emotions and that there will no longer be a phrase that says “man up” or “boys don’t cry.” Or when a guy starts to tear up, he says sorry. I don’t know how many female-bodied people, when they start to tear up, ever say sorry. Why are you apologizing for having an emotion? PIP: Absolutely! 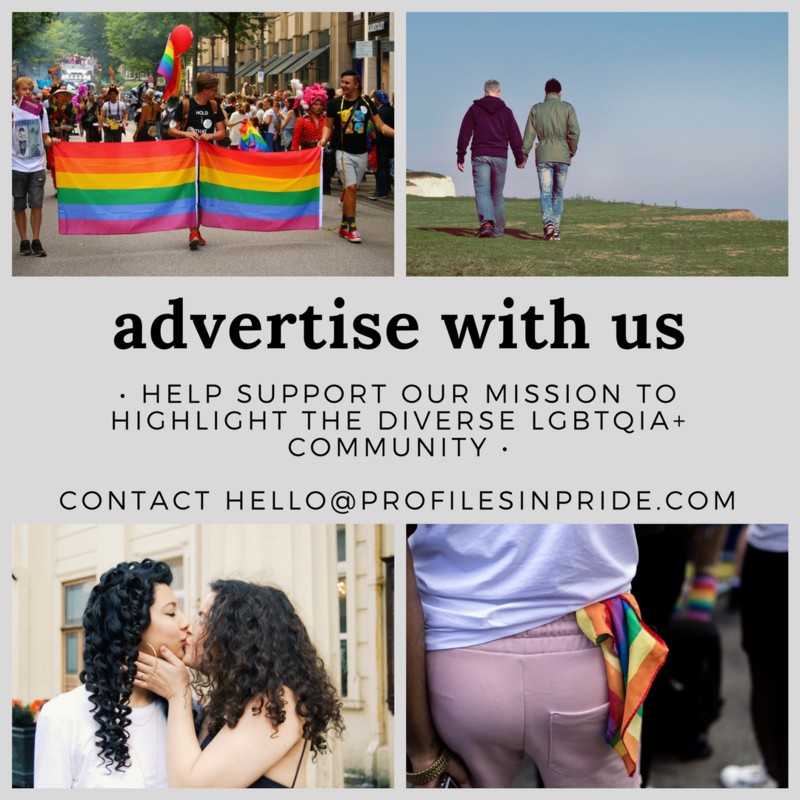 Now let’s talk about your activism: tell us about the work you’re doing with Point of Pride. AD: With social media and all my platforms, I’ve realized that I now have people’s attention, and I don’t ever disvalue the attention people give me. Because so many people have heard my story or read something of mine or seen a video, the least I can do is give someone the opportunity to tell me part of their story. Point of Pride is awesome, but what actually started before that was my clothing company, Point5cc. I started making clothes to highlight the power in being trans and the power in having an identity that isn’t seen as the norm. When I started this clothing company, I needed to raise funding for my own top surgery. After I raised those funds, I really wanted to give back to the community more and more and more. I knew that I couldn’t singlehandedly pay back every person who bought a T-shirt that then allowed me to get my top surgery, so I kept the clothing company open and I started a surgery fund. All the profits I made after buying the shirts and paying for the electricity to run my studio and stuff, I put into a surgery fund to help give the money back. That and I had a gentleman hand me 10 binders one day. He said, “You have a reach, give these out to people who need them.” So I started giving away free binders if you made a purchase. So I started giving out these binders. After doing this for three years, I missed out on a $5,000 grant because I wasn’t a 501(c)(3). I proposed to my friend Jeffrey Main, who works with me at Point5cc, that we start a nonprofit. He was really excited about it, so we started Point of Pride, and he’s actually the secretary of it now. We started it in order to really begin helping the community in a bigger way. With Point of Pride, to date we’ve given over $45,000 to people to get gender-affirming surgeries, whether that’s facial feminization, breast augmentation, top surgery, bottom surgery — all those types of things. This is our second year. We’ve given away over 3,000 binders to all 50 states and 31 different countries. It’s been really amazing; these are all things I was already doing, but now I can track them. Now I have a board of people like Emily Kaufman, who want to help so I’m not doing everything. People who want to help but maybe don’t have an outlet to help are able to join our board or be an intern or volunteer for us and give back in the way that they want to. It’s been a really amazing time, and I’ve learned a lot in the time as well. It’s also amazing for me since it’s something that I will always be able to do. No matter where my career takes me, I’ll always be able to come back to this nonprofit and direct people there, try to get funding for them, and be a voice and an active member of the board so I can go out and talk about these things when I do talks or whatever else I have going on. PIP: What an incredible resource for the trans community. Do you have any other future plans for your career? AD: I love to travel and speak at colleges and universities, and even corporations about diversity and authenticity. I’ve talked so much about being trans, and not that I don’t want to continue to talk about it, but I want that to be my backstory. PIP: Wonderful. I know another big part of your future is that you have a baby on the way. What has the journey to pregnancy been like for you and your wife? 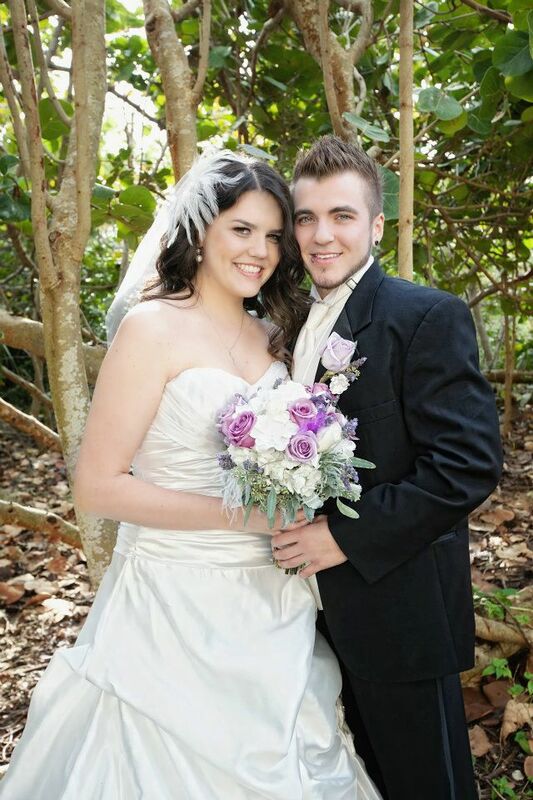 AD: My wife, Jenilee, and I have always known that we wanted to have a baby. We’ve been together for eight years and married for six. We’re at a point in our lives where we’re a little bit older; we feel a lot more mature and ready for a baby. Everyone always talks finances, but I believe you’re never as financially ready as you want to be. It’s more about our spirituality, which feels really in line with each other, and we feel like it’s a really good time for us to bring a baby into the world. We’re the appropriate age — I’m 30, she’s 33 — and we just feel really good about it. Our bodies seem to feel like they want babies too; we’re always looking at babies! So we started trying to get pregnant. That was a difficult six-month journey of doctor visits and all the stress that comes for a trans and cis couple. Luckily, we used a fertility center, and on our sixth try, we hit a home run. We’ve posted many videos throughout the process on my YouTube channel. We’re just trying to highlight that and show that storyline so that maybe it will make people who felt like they couldn’t grow up and have the family that they’ve always wanted that they can. Maybe somebody who doesn’t think about these things, and then sees it and goes, “I didn’t even think about that, that you could possibly need to do this, or how much money does it cost?” And all these different things that a lot of people who are just able to do these things in their everyday life don’t think about. So we’re really trying to use this opportunity to share some education out there, to let people know that there are different ways to have babies. And also to challenge some people who think we might not do it right. To challenge them to actually get some information and get some education, and then make their choice if they think they disagree or agree with what we’re doing. PIP: That’s an amazing service to the LGBTQ+ community since there often isn’t enough information out there about how to build a family. AD: The amount of stories that I hear…I’d say the trans stories that I hear from this pregnancy are less than the LGB stories that I hear, because it’s a very similar process for a lesbian or gay man. Maybe you made a left here and I made a right, but it’s all very similar. It’s also a cool opportunity to bring back together the LGBT community. Keep up with Aydian on Instagram @alionsfear.